In order for a successful claim against a distracted driver, you must offer up evidence that the driver was not paying attention to the road when they hit you. Here are a few forms of proof that could bolster your claim and get the compensation you deserve. After any collision, make sure the other driver’s cell phone data is pulled. This evidence can show if they used their phone while driving. Texting and driving isn’t as uncommon as it should be. Unfortunately, it can easily cause a collision due to the distraction. If the cell phone records reveal browser, message, or call history from the time of the accident, this proof can be enough to assign fault to the other driver. 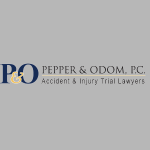 Typically, there are one or more witnesses to a car accident. These witnesses could be passengers in your car or the car of the other driver. They can also be bystanders who saw the accident occur. These testimonies can be a very powerful piece of evidence in your claim if they demonstrate the driver’s distraction. Video evidence might also be available. When a crash occurs outside of a business or other establishment, they may use video cameras for security footage. This can be very significant evidence because video leaves no question about what happened. If the other driver plowed into you from behind without slowing down or left their lane of traffic and came into yours, this may be caught on camera. Therefore, ask your attorney about obtaining video footage from any nearby businesses that may have security cameras. Few drivers are going to admit guilt after consulting with an attorney, but they often do right after the accident. The other driver may approach you after the accident and attempt to offer an explanation, such as eating while driving or talking to one of their passengers. You should let your attorney know of anything the driver admits to doing that could be construed as fault.